[SatNews] Together these were among the first high-bandwidth satellite communications terminals deployed in key areas. GATR Technologies® announced today that GATR and customers Global DIRT and emergency.lu, along with Cisco® Tactical Operations (TACOPS) and Intelsat General, contributed GATR inflatable ground-based satellite terminals, networking equipment, satellite bandwidth, and support for recovery efforts in the Philippines. High-bandwidth communications are vital in coordinating efforts of this magnitude, especially when the communications infrastructure has been destroyed. Seven GATR inflatable systems were deployed in the Philippines to support the recovery efforts. GATR sent two systems to support C isco TACOPS (a mobile team that quickly deploys to support emergencies that affect communications), and customers Global DIRT and emergency.lu also deployed their GATR systems. Together these were among the first high-bandwidth satellite communications terminals deployed in key areas. GATR sent an operator to assist in the deployment of the two GATR-supplied systems, and also facilitated a donation of satellite bandwidth from Intelsat General to support the effort. 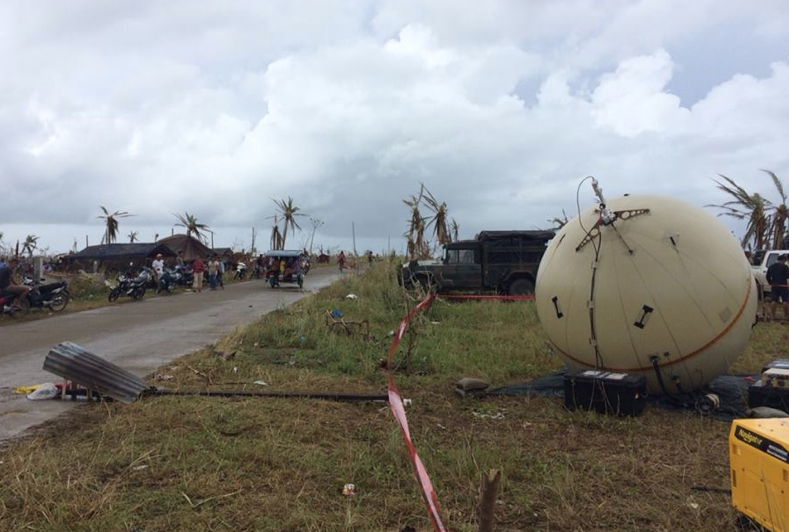 Cisco TACOPS set up in Guiuan and Borongan, on the eastern side of Samar Island, enabling the Philippine authorities to coordinate transportation, food distribution, and scheduling of inbound shipments for relief using data services and VoIP calls. Global DIRT provided connectivity for a Tacloban hospital, at least four NGOs based at the hospital, and air operations (~100 users); emergency.lu provided communications to NGOs in Tacloban atop the Town Hall building, at Ormoc City Hall, and later in Guiuan city as part of the International Humanitarian Partnership (IHP) mission in support of numerous U.N. agencies and NGOs such as UNHRC, OCHA, WFP, WHO, MSF, DOH, and PUI. GATR’s antenna size and portability enabled high-bandwidth data and was critical to C-band operation in these hard to reach areas. The key innovation of GATR’s antenna is its flexible parabolic dish mounted within an inflatable sphere, reducing weight and packaged volume by as much as 80 percent and thereby improving the agility of disaster response personnel. The GATR can dramatically cut transportation expenses due to the ability to pack a 2.4m satellite terminal into as few as two cases (weighing less than 99 lbs. each). Finally, the larger dish size enables more efficient use of satellite bandwidth capacity, increasing bandwidth for users and allowing more users to communicate simultaneously. GATR has fielded over 300 terminals since 2008, proving the technology’s strength and reliability. Incorporated in 2004, GATR manufactures deployable inflation-rigidized satellite communication terminals. GATR’s unique design enables deployment of high-bandwidth terminals in as few as two cases, making it ideal for first-in deployments and remote applications. The GATR has been used by U.S. and foreign military, intelligence, and homeland security, as well as commercial and non-governmental organizations at Ku-, C-, and WGS certified Ka- and X-band for all types of data and voice transmissions, and other IP enabled activities. 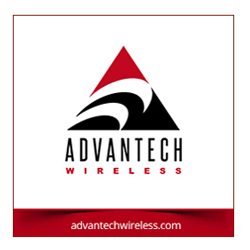 GATR’s antennas perform like rigid deployable antennas of the same size, but provide up to 80 percent reduction in the logistical size and weight. More information on GATR can be found at.